Published: Sep 12, 2015 to ? Full remake of the original Getter Robo series. 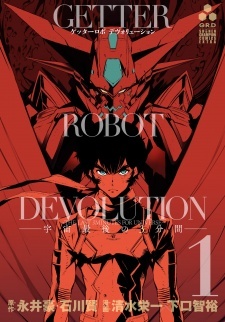 Getter Robo Devolution: Uchuu Saigo no 3-punkan has been licensed in English as Getter Robo Devolution by Seven Seas Entertainment.